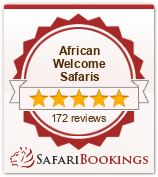 “NEW GUESTS!” is the cheerful call often heard in this Gansbaai safari lodge located at Grootbos Private Nature Reserve. Greeted with a smile and welcomed with a glass of fine South African sparkling wine, guests at Grootbos safari lodge accommodation are made to feel special instantly. One great experience is brought to you in the form of the classic Garden Lodge, set in a lush indigenous surrounding, and is the ideal family getaway. Or the Forest Lodge with its contemporary and modern style appealing to the cosmopolitan traveller. Feel welcome at a unique place where conservation, relaxation and luxury have found the perfect home in Grootbos Private Nature Reserve. Both local and international travellers have discovered a place of beautiful tranquillity at Grootbos, and are encouraged by the delicate and proactive relationship between man and nature. Grootbos has won world wide acclaim for its conservation and social responsibility programs. Grootbos Nature Reserve, with its two 5-star lodges is a jewel of Cape ecotourism and luxury accommodation. The reserve is spectacularly situated on the fynbos and forest clad hills that overlook the whale-watching haven of Walker Bay. Grootbos has carved a unique niche in the upmarket eco-lodge sector by specializing in the Cape region of South Africa’s world-renowned flora and marine biodiversity. This multi-award winning 1750 ha reserve is home to more than 740 different species of plants, offers warm hospitality, excellent cuisine, fine South African wines and is a nature lover’s paradise. The Cape Fynbos Kingdom is renowned as a flora biodiversity hotspot and for more than a decade Grootbos Nature Reserve has promoted its beauty, interpreted its intricate stories, researched some of its many secrets and developed a suite of projects focused on conserving this exceptional natural region. Central to the ethos of Grootbos is that our guests discover the regions natural wonders and directly contribute to its conservation and upliftment of our local communities. Grootbos Nature Reserve is rated among the most beautiful of Conservation Reserves and offers five-star accommodation to its visitors. The two lodges – Garden and Forest Lodge – are the epitome of luxury and comfort whilst capturing the harmony, which nature provides on in the reserve. From the minute guests arrive at Grootbos they will be welcomed by the enthusiastic staff of Garden Lodge and Forest Lodge, who tend to visitors’ every need with warm smiles. Grootbos Nature Reserve Garden Lodge is child friendly, allowing families to enjoy five star treatment. Activities include adventures on the beach and rock pools, treasure hunts, horseback rides and many more. All the activities in our special children’s programme form fun learning opportunities for children and are hosted by experienced guides. Visiting Grootbos provides a true sense of wonder at what nature can produce. The flora ranges from stunning and protected Fynbos to the largest Milkwood Forests in the world. The beaches are lapped by crystal clear waters frequented by marine life such as Southern Right Whales, the rare African Penguin and Great White Sharks. As far as things to do, the opportunities are endless. Caves are to be explored, the reserve discovered on horseback rides and many activities are available which promise to make a trip to Grootbos unforgettable, such as shark cage diving, whale watching and hiking through some of the most stunning scenery in the world. Experience nature like never before with biodiversity and conservation in South Africa. Let our expert guides at Grootbos Nature Reserve introduce you to the wonders of the Fynbos of South Africa, the mysteries of the oceans and the treasures of the beach. Discover the fascinating relationships between the insects, birds, mammals and flowering plants of this diverse ecosystem. Smell the aromatic wild herbs, watch for exquisite birds and be awed by the scenery that surrounds you in this haven of biodiversity. Visit a true Eden, all as a result of careful conservation of the areas natural biodiversity. Explore a meandering path through an ancient Milkwood Forest, where thousand-year-old trees send exploratory branches in search of sunlight, or visit one of the remnant Afro-Montane Forests on the reserve. Biodiversity and conservation has been so important in establishing the beautiful scenery found at Grootbos. Without preserving the ecosystems in South Africa, fynbos and other plants would not be able to flourish as they do at Grootbos. Outdoor eco adventures at Grootbos and in Gansbaai provide a valuable means of helping with conservation efforts whilst creating a relaxing holiday experience for our guests.